Beauty reviews, tips, tutorials, and all things glam! 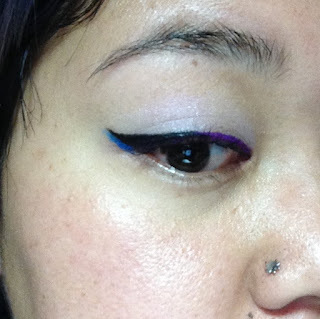 I've become more and more enamored with potted gel liner as of late - I sometimes get better control than with a liquid liner pen, and more precise lines than with an eye pencil. 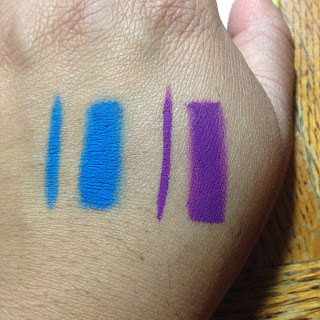 I received a Seta brush and a Mica Beauty gel liner in a recent BoxyCharm that have changed my life, and since then, I've been on the hunt for more gel liners to love. 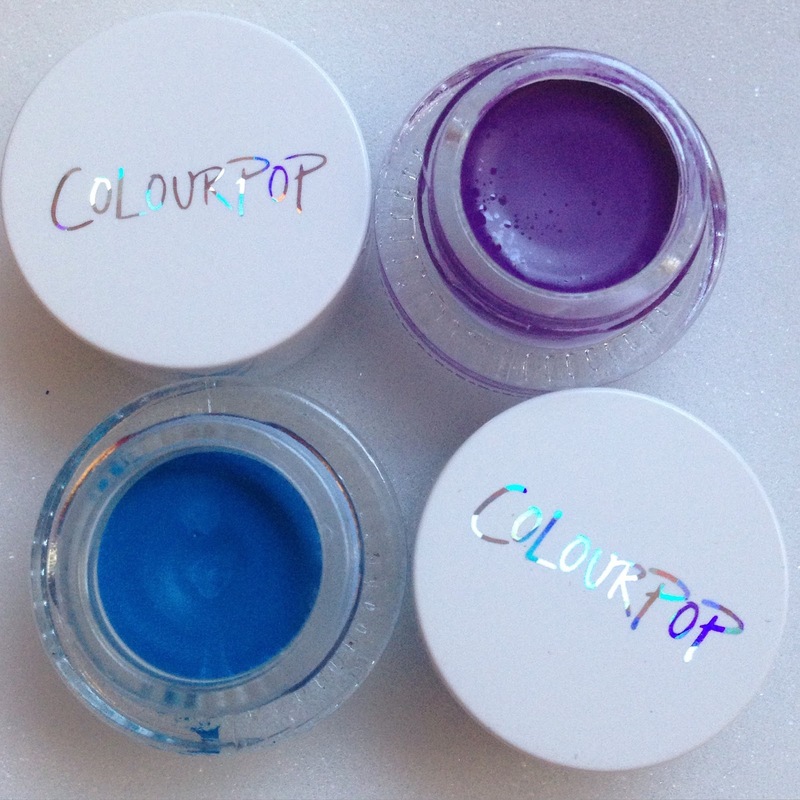 Unfortunately, the only ones I could find easily (like drugstore brands) came in only the standard colors - I wanted to find some colors that would rock my world, preferably at a cheaper price point since they will probably dry out before I can ever really use them up. Luckily, ColourPop is apparently telepathic, since they just recently released an entire line of pencil and potted Creme Gel liners in all sorts of magnificent colors! I of course made a bee line for the brights. 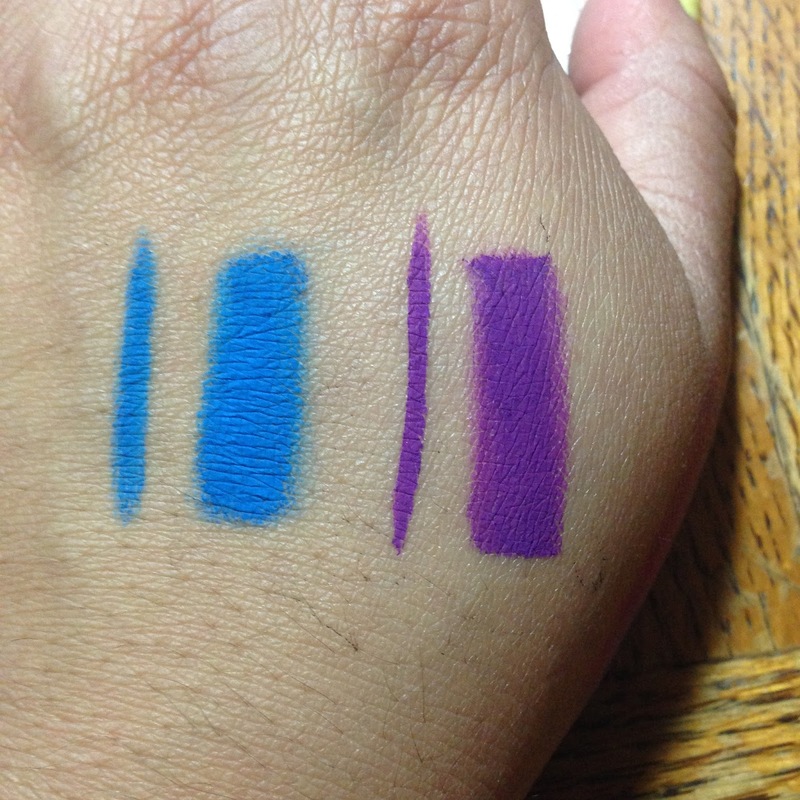 To start out with, I got Bee Sting, which is the bright blue you see above, and Piggy Bank, which is the purple. Usually, the only blues and purples I generally find in potted gel form are navy and dark plum, which are fine, but not particularly exciting for me. I wanted color that would, well, POP! And pop, it definitely did! They are super, super vibrant. Piggy Bank was very creamy and applied smoothly. Bee Sting felt a little dry and crumbly - when I swatched it using my fingertip, it actually felt a bit sticky, like paste, whereas Piggy Bank felt creamy and silky, so I don't know if I just got a dud Bee Sting or what, but it still worked. And once they set, they set. I wore Piggy Bank all day, and it smudged just a wee bit in the outer corner of my eye after a couple hours, but I wiped it away easily and didn't notice any more smudges for the rest of the day. Before you comment: patience and kindness go a long way. PopSugar Must Have Box - November!